Home Jobs OSSC Recruitment 2018- Online apply for Latest Post of Inspector of Legal Metrology and other posts. OSSC Recruitment 2018 online apply-If you have a dream for a government job, then you are in right place. 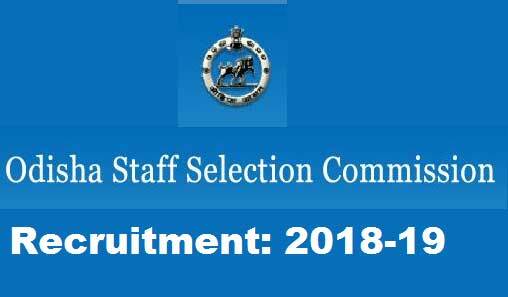 Odisha Staff Selection Commission released a notification for govt. job. If you are interested then read all details below about these OSSC Recruitment 2018 posts. According to OSSC Recruitment 2018 Latest notification, OSSC releases a recruitment notification regarding online apply for Latest Post of Inspector of Legal Metrology and Laboratory Assistant. The notification link has been given below please read carefully before applying for these post and if you are eligible for these post can apply. For the post of OSSC Recruitment 2018 candidates can apply only online mode, no other mode of application submission is not accepted by OSSC authority. 1. Inspector of Legal Metrology: Graduate in Science (with Physics as one of the subject) or Graduate in Engineering or Technology from recognized University or Diploma in Engineering with 3 years of professional experience. 2. Laboratory Assistant: Graduate in Science (with Physics as one of the subject) or Graduate in Engineering or Technology from recognized University or Diploma in Engineering with 3 years of professional experience. As on 01.01.2017 candidate should be 21 years to 32 years for both posts with as usual relaxation for SC/ST/SEBC/Women/PWD/Ex-Serviceman/In-service contractual employee. Note: Candidates are advised to read the official notification carefully before applying for OSSC Recruitment 2018. I hope you like this post very much, keep visiting regularly for more updates and do not forget to share with your friends through social media.